Summerwoods in Bolivia North, Carolina. Open Thursday through Sunday. Learn more here. KBT Realty Group is the top performing KELLER WILLIAMS® team in Wilmington North Carolina and is affiliated with Keller Williams Realty, Inc. - the #1 Real Estate Company in the world. KBT Realty Group is ready to help you find homes in Wilmington, Leland, Carolina Beach, Wrightsville Beach, Southport, Ocean Isle and the beautiful southeastern North Carolina communities of Pelican Reef, Landfall, St. James. That is just a start. 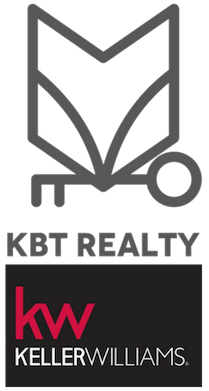 With more than 100 years of combined real estate experience in the Wilmington metropolitan area, we are certain that KBT Realty Group has an agent that is an expert in selling and buying the neighborhood you are focused on. We have the expertise to help buy or sell every property, from the quaint coastal cottage or perfect starter home, to luxury properties in exclusive gated communities. Millennials, retirees, or second-home shoppers and everyone else... at KBT we have the intimate knowledge that makes finding homes for sale in Wilmington NC a fun, virtually stress-free experience. We love what we do, and want you to enjoy every phase of looking for the perfect home that fits your lifestyle, or selling your property and filling your budget goals. We welcome the opportunity to serve you as you buy or sell, or sell and buy! Let the team at KBT Realty Group put their knowledge, extensive data, and unparalleled commitment to work. The team at KBT is amazing. Kirk is so knowledgeable. Kristine is so kind and helpful. I would use them for every home sale if I could! They really took care of me through the whole process. I got what I wanted for my house and quickly! What else could I ask for? Dealing with Becky is a pleasure. She is so professional. She is very dedicated to her work. Once you get involved with her, she will take the ball and run with it. I have dealt with Becky over the past 12 years on quite a few purchases of homes and sale of homes. I have sent several of my good friends to her and they were very excited about the way they were treated. Once you sign with her, you will not have to worry about anything else. She will handle everything. I would highly recommend anyone that is wanting to list or purchase a home call Becky. Mrs. Brown has assisted our family in purchasing, selling, purchasing, and soon to sell again, over the past 10 years. I totally trust her instinct. She has always got me into what I want to see and taken me to homes she researched for me too. Always flexible with schedule, very prompt and to-the -point with other realtors involved. I recommend her to my friends and anyone who needs a realtor. Her knowledge of the coastal area is amazing most likely due to living here her whole life. Not only is she a great realtor, she stays involved with community functions and fundraising events. You tell her what you want - she will find it! Kirk was amazing to work with. They truly care about their clients and Kirk always had our best interest at heart. He stood by us throughout the entire process of buying our new home, and fought hard for us. He was always readily available to help us or answer any of our questions. We were very pleased with the service and responsiveness. Very knowledgeable of the area and the transaction process. Kirk and Janine have always been super helpful, willing to share their experiences and are right on target! I would not hesitate to refer them to my friends and family. They are an excellent team!! Fantastic communication, excellent knowledge of the area, and a well-oiled team that works incredible together from start to finish to get the job done, whether buying or selling. Highly recommend!!! Wonderful experience! Kristine Roody and Debbie Alford made my first home buying experience pleasant and worry-free. They are extremely professional and detail oriented. Highly recommend this great team. Great people to work with. Helped us sell a flooded house and buy a beautiful new home. Connected us with a terrific mortgage company and insurance company. Hope we don't ever have to go through this situation again, but if we do, we know who to call. We had a very complicated situation on our end but this firm made everything as perfect as they could and as stress free if that is even possible on any closing - would recommend them over and over again and use them again in the future if and when needed. Thanks guys for all your help!!!! My wife and I are new to the Wilmington area and needed help to find a home and neighborhood that would be a good fit for us. Even though our initial plans were to finish out a year lease, Rick Binford offered to start working with us now to help identify areas that would appeal to us. Rick did an excellent job in showing us the vast options available to us. We finally decided on a neighborhood in Southport. We liked it so much that we purchased the home now and will be moving in soon.